Effective for headaches, backaches, muscle aches, menstrual pain, minor arthritis and other joint pain, body aches and pains from the flu. Packaged for individual use to replenish first aid stations and kits. 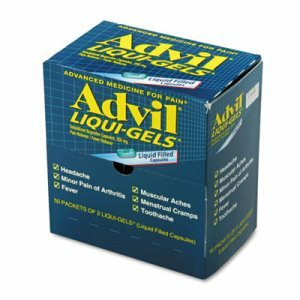 Description: 2/Pack; Quantity: 50 per box; For Use With: First Aid Stations/Kits; Individual Use. 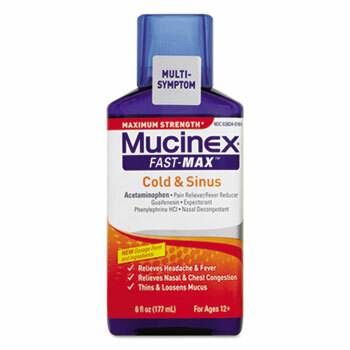 Thins and loosens mucus and helps controls cough. Extended-release bi-layer tablets provide 12 hours of relief. 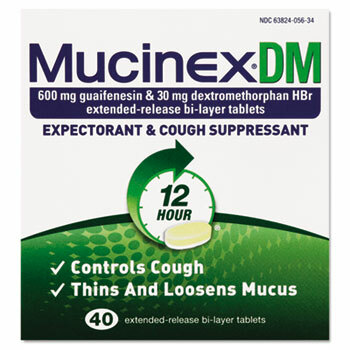 Contains: Guaifenesin; Dextromethorphan HBr; Description: Mucinex� DM Expectorant and Cough Suppressant, 40 Tablets/Box; Quantity: 1 each; For Use With: Individual Use. Relieves headache and fever and nasal and chest congestion. Thins and loosens mucus. 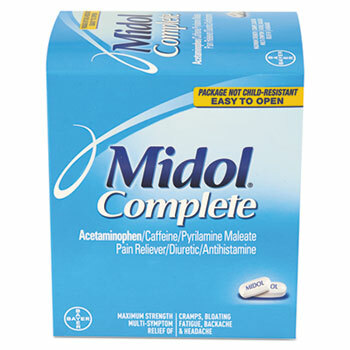 Contains acetaminophen. For ages 12 and up. 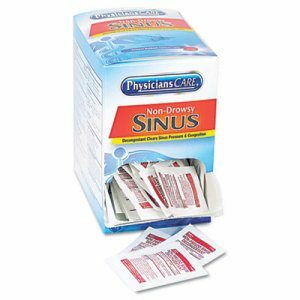 � Relieves headache and fever and nasal and chest congestion. � Thins and loosens mucus. � For ages 12 and up. 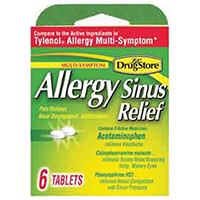 Non-drowsy tablets provide fast and temporary relief from sinus pressure and congestion. Packaged for individual use. 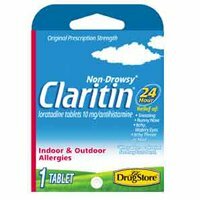 Contains: Phenylephrine HCl; Description: 1/Pack; Quantity: 50 per box; For Use With: First Aid Stations/Kits; Individual Use. Real liquid relief right where needed. Relieves headaches, backaches, muscle aches, menstrual pain, minor arthritis and other joint pain, body aches and pains of the flu. Packaged for individual use to replenish first aid stations and kits. Contains: Two Tablets; Description: 2/Pack; Quantity: 50 per box; For Use With: First Aid Stations/Kits; Individual Use. 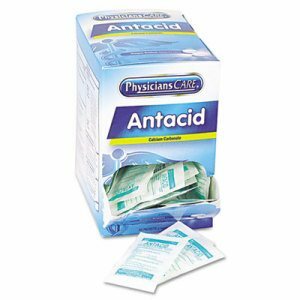 Suffer no more�get fast relief of heartburn, upset stomach, acid indigestion with headache and body aches from this antacid and pain reliever. Effervescent antacid and pain is an easy-to-use solution for everyday digestive issues. 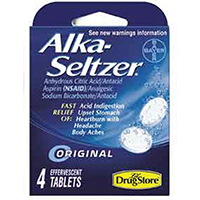 Unlike other antacids, Alka-Seltzer� Original contains an analgesic for pain accompanied by heartburn and acid indigestion. 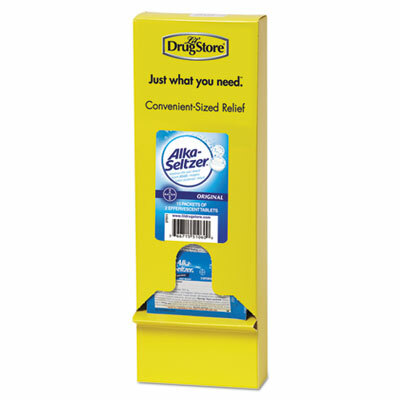 Single dose packs in a convenient dispenser box are an ideal choice for the office; place them in a kitchen or common area, so everyone has access. 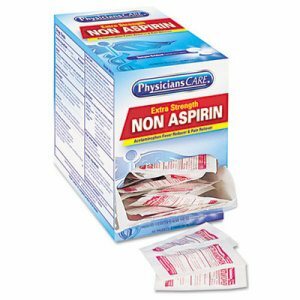 Contains: 15 Pouches of Single Dose Alka-Seltzer�; Description: Alka-Seltzer� Single Dose Pouches; Quantity: 15 per box; For Use With: Lil Drugstore� Medicine Dispensers. Effective for headaches, backaches, muscle aches, menstrual pain, minor arthritis and other joint pain, body aches and pains from the flu. 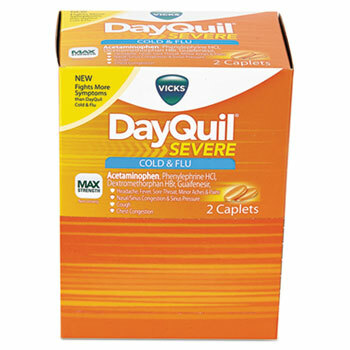 Single-dose packets are packaged in sleeves for quick refill of dispenser (SOLD SEPARATELY) or for other use. 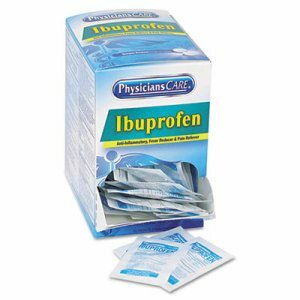 Description: Advil� Ibuprofen 2 Tablets; Quantity: 30 per box; For Use With: First Aid Stations/Kits; Individual Use. Provides relief of many symptoms suffered during your menstrual period. 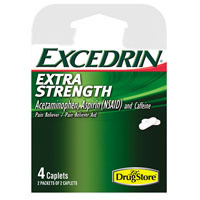 Unique combination of a maximum strength pain reliever, a diuretic to help relieve bloating and caffeine to help fight fatigue. Packaged for individual use to replenish first aid stations and kits. 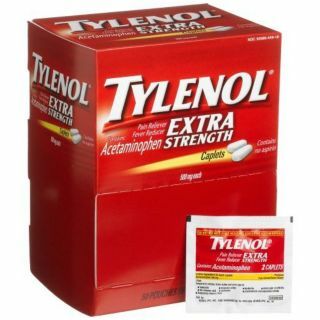 Contains: Acetaminophen; Caffeine; Pyrilamine Maleate; Description: 2/Pack; Quantity: 30 per box. Temporarily relieves common cold and flu symptoms: nasal congestion, cough due to minor throat and bronchial irritation, sore throat, headache, minor aches and pains and fever. Packaged for individual use to replenish first aid stations and kits. 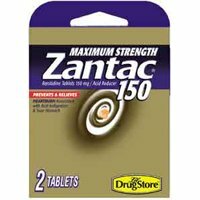 Provides maximum strength relief for severe symptoms. 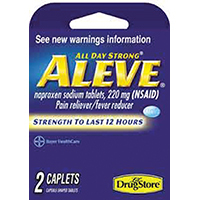 Contains: Acetaminophen; phenylephrineHCL; Dextromethophan HBr; Guaifenesir; Description: 2/Pack; Quantity: 25 per box; For Use With: First Aid Stations/Kits; Individual Use. 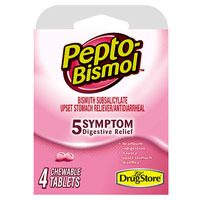 For multi-symptom relief from heartburn, indigestion, upset stomach, nausea and diarrhea, choose Pepto-Bismol�. Quick-acting chewable tablets. 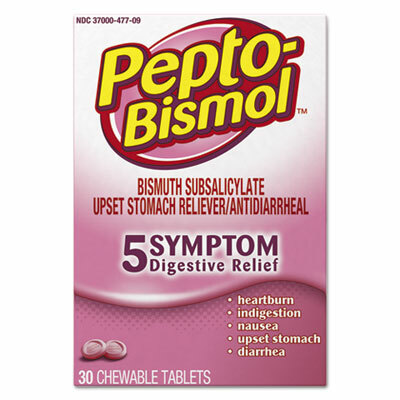 Contains: Bismuth Subsalicylate 262 mg; Description: Chewable Tablets, 30 per Box; Quantity: 30 per box. Calcium carbonate chewable tablets help reduce your stomach's acidity level, providing relief from heartburn and acid indigestion. Packaged for individual use to replenish first aid stations and kits. 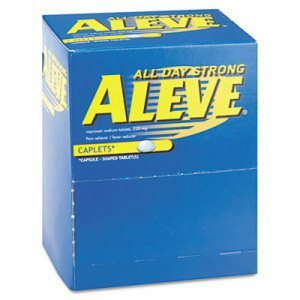 Contains: Calcium Carbonate; Description: 2/Pack; Quantity: 50 per box; For Use With: First Aid Stations/Kits; Individual Use. 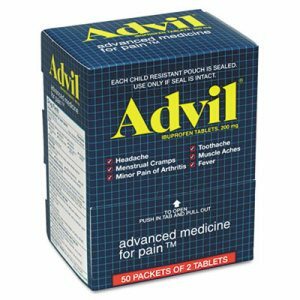 Select aspirin for relief of minor aches and pains. 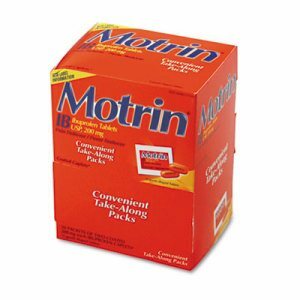 Great for headaches, tooth aches and muscle aches. Also works as a fever reducer. Convenient, single-portion packets. 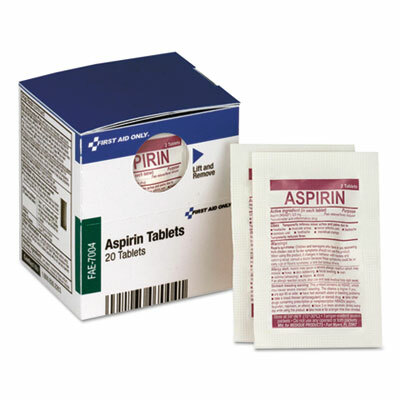 Contains: 20 Tablets; Description: (10) 2 per packet Smart Compliance Refill Aspirin, per box; Quantity: 20 Tablets; For Use With: All SmartCompliance Kits. Kiss your cough goodbye, with a topical cough medicine with medicated vapors. 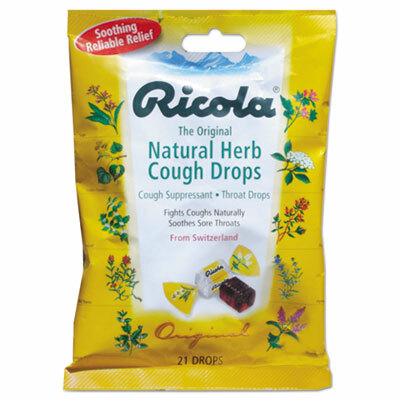 It starts working quickly for to relieve cough symptoms. Appropriate for ages two and up, topical VapoRub� is a comforting choice for sick children. Not likely to cause drowsiness or jittery side effects when used as directed. 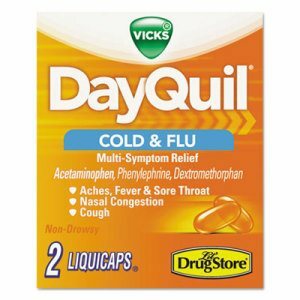 Because it is a topical cough medicine, it may be appropriate for diabetics looking for an alternative to oral cough medicines that contain sugar. 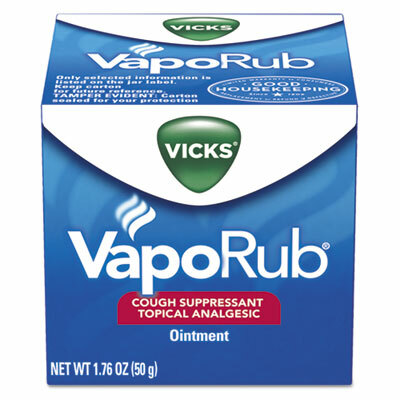 Contains: Camphor (synthetic) 4.8%, Eucalyptus oil 1.2%, Menthol 2.6%; Description: 1.76 oz. (50 g.) Jar; Quantity: 1 each. Works fast to relieve headache pain. Won't upset your stomach. Reduces fever. Smooth, easy-to-swallow caplets. 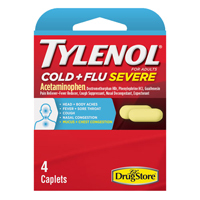 Contains: Acetaminophen; Description: Tylenol� Extra Strength Caplets, 2/Pack; Quantity: 30 per Box; For Use With: First Aid Stations/Kits; Individual Use. Temporarily relieves common cold and flu symptoms: nasal congestion, cough due to minor throat and bronchial irritation, sore throat, headache, minor aches and pains and fever. 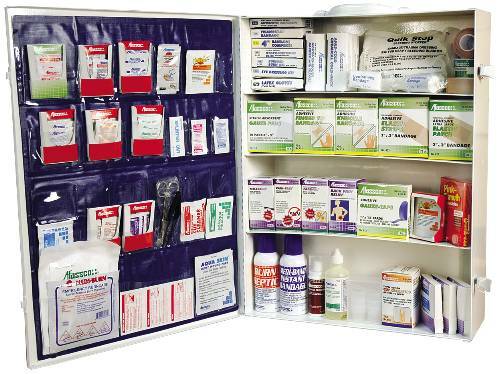 Packaged for individual use to replenish first aid stations and kits. Severe Cold and Flu. 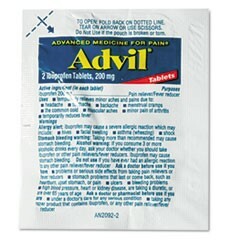 Description: 2/Pack; Quantity: 20 per box; For Use With: First Aid Stations/Kits; Individual Use.